Join us for a DIY modern floral arrangement making event with acclaimed florist of Red Hook’s Tin Can Studio! 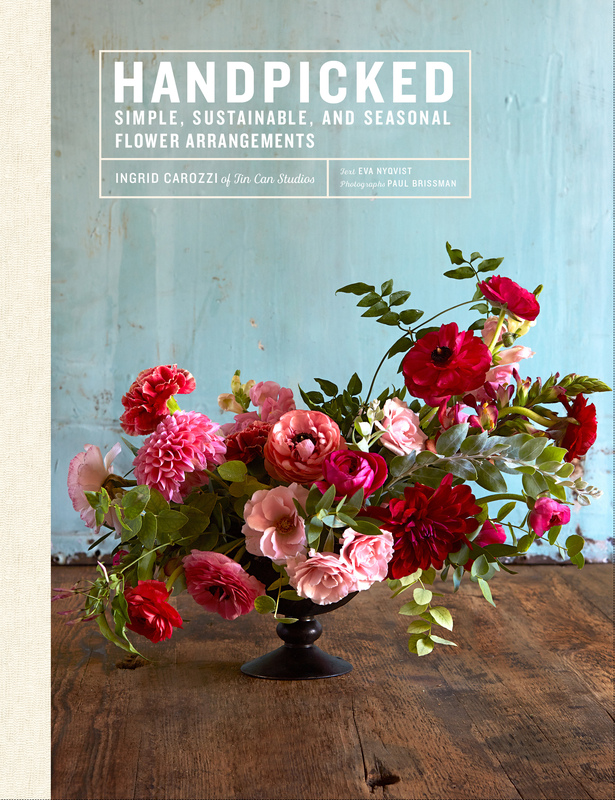 Brooklyn-based florist Ingrid Carozzi, New York Magazine’s #1 Florist of 2015, reveals her process for creating flower arrangements with reclaimed and vintage containers that are modern, original, and organic in style in her new book, Handpicked: Simple, Sustainable, and Seasonal Flower Arrangements. The beautiful guide includes more than 35 arrangements using lush photography and simple step-by-step instructions for how to measure, cut, and arrange each flower. With photos of her workspace and Brooklyn surroundings, readers step inside her workshop and learn tricks of the trade—from using chicken wire to create a framework for her arrangements and tips for bending stems to trimming wild blooms and extending the lives of flowers. For containers, she encourages readers to find and make use of rough-hewn wooden crates and reclaimed, upcycled, and vintage pots, jars, bottles, and vessels. She shows how to transform these sometimes unattractive finds, and explains her process for marrying a modern, natural floral composition with rustic containers for a look that is original and free-form, never boring or stuffy. Arranged seasonally, with a focus on affordable flowers that can be easily sourced, the book is a richly visual, approachable guide to creating extraordinary flower arrangements at home. 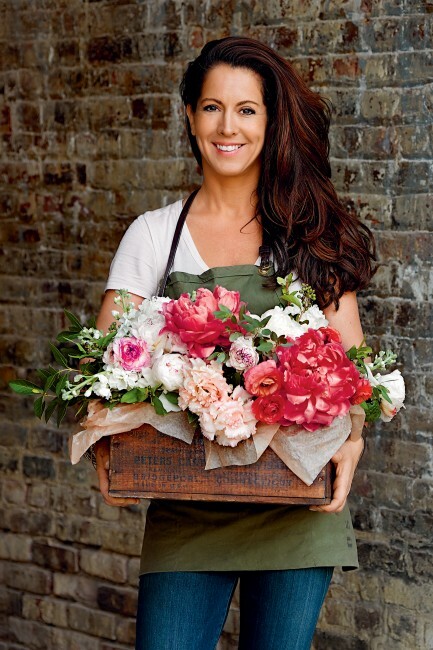 Ingrid Carozzi is one of New York’s most sought-after florists, named New York Magazine’s #1 Florist in 2015. She is the owner of the acclaimed Tin Can Studios in Red Hook, Brooklyn, where she creates arrangements for romantic weddings and a long list of corporate clients. Carozzi’s work also appears in Abrams’ Brooklyn Street Style and in the upcoming book from Assouline, The Big Book of Flowers.